Make yourself a pot of coffee... Not yet. Was that the alarm clock? Oh well. 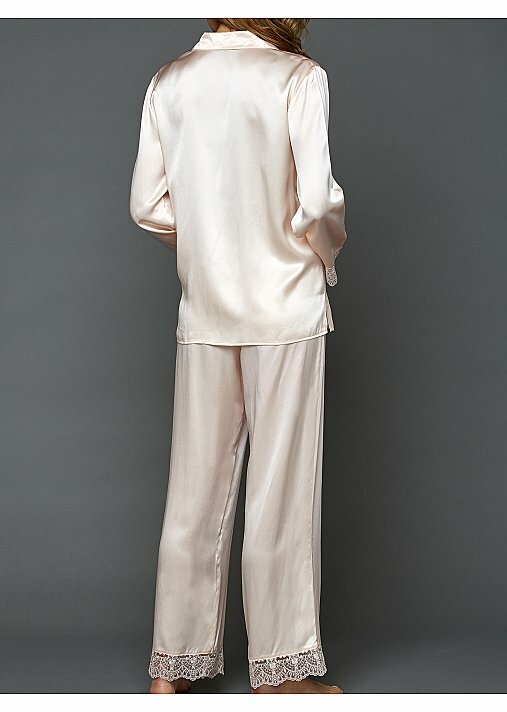 These luxurious silk pajamas make the day an afterthought. The beautifully tailored top has a relaxed fit and the pant has a flattering drawstring waist made even better with an elastic back. Embroidered lace trim adds that refined touch that every lounger needs. 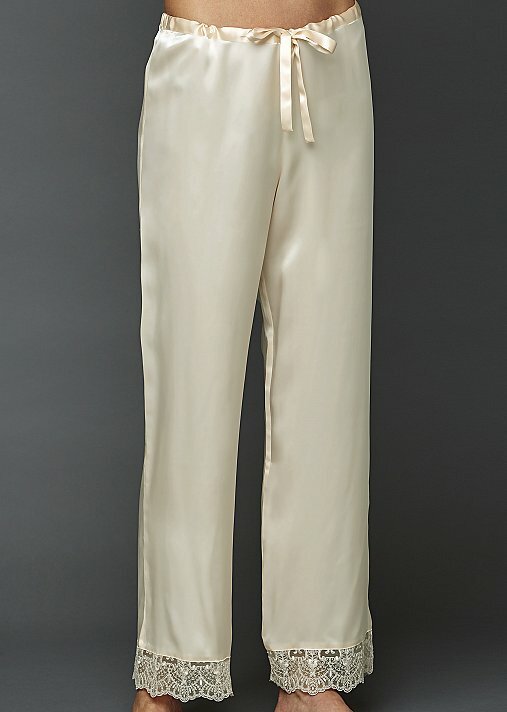 Fit: Classic with regular rise pant. Make yourself a pot of coffee... Not yet. Was that the alarm clock? Oh well. 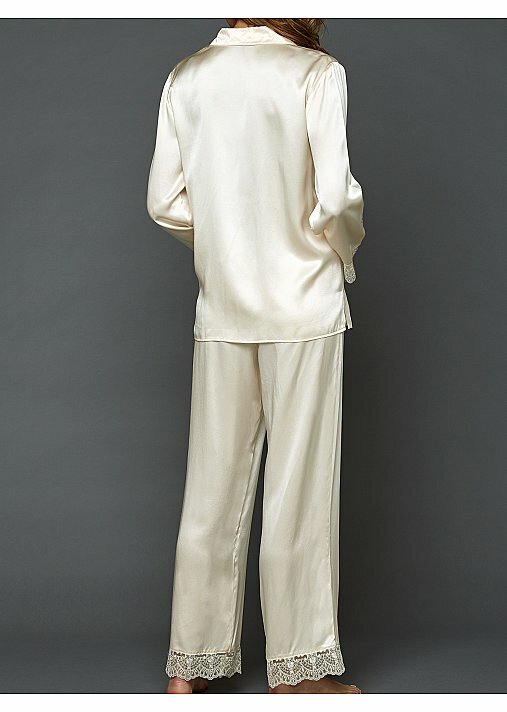 These luxurious silk pajamas make the day an afterthought. Embroidered lace trim adds that refined touch that every lounger needs. 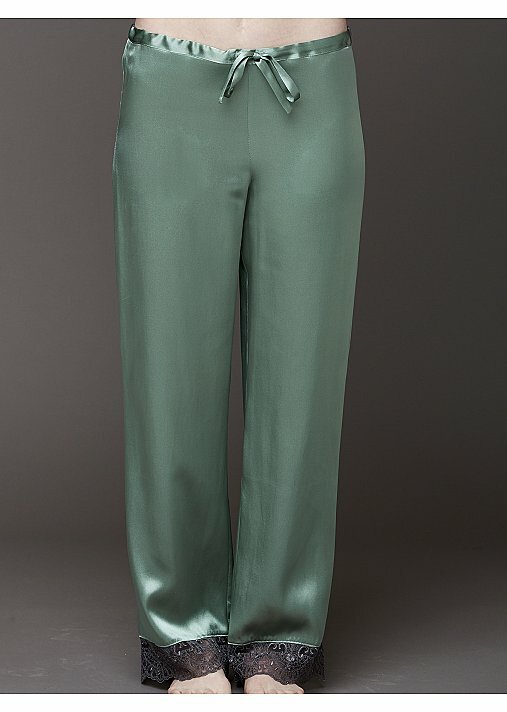 The beautifully tailored top has a relaxed fit and the pant has a flattering drawstring waist. Both wonderfully proportioned to fit us petites because we like to lounge, too! 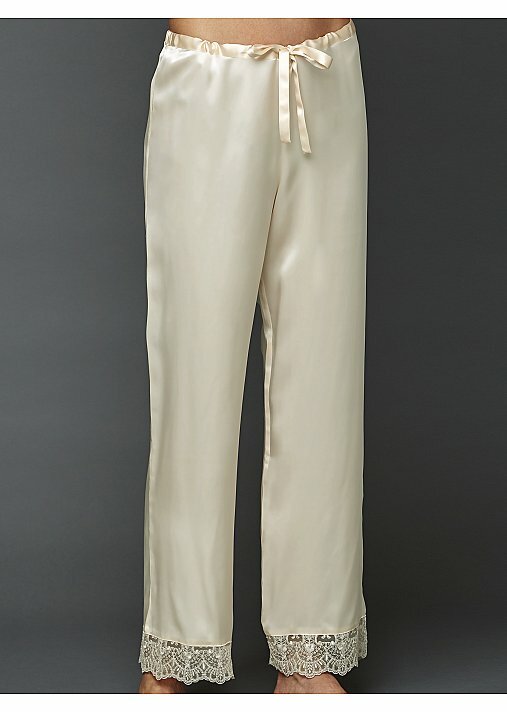 Measurement: Top length: 26 1/2" Inseam: 28"
It's Evening. A period of tranquility after a long day. 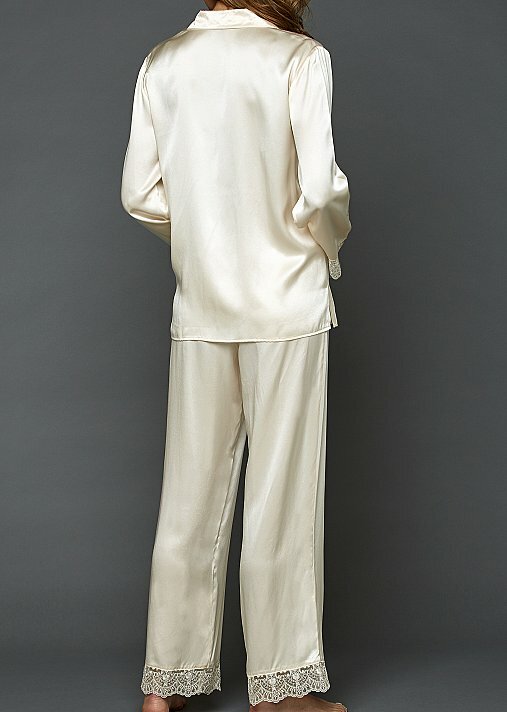 We capture just that feeling in this full-length luxurious silk robe. Exquisitely tailored with embroidered trim, glamorous bell sleeves, and on-seam pockets, because you never know what treasures you might find on an evening stroll! It's Evening. A period of tranquility after a long day. We capture just that feeling in this full-length luxurious silk robe sized especially for petites. Exquisitely tailored with embroidered trim, glamorous bell sleeves, and on-seam pockets. Inside security ties with a detachable sash for easy wearing. A perfect complement to our Devon Silk Chemise!